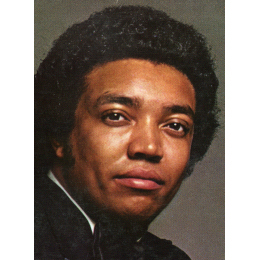 Robert B Hudmon Jr was born on 6 August 1954 at West Point, Georgia and started his singing carer at a very early age. By the time he was 15 he was with Bill Lowery in Atlanta, with staffer Joe South doing most of the writing and producing. 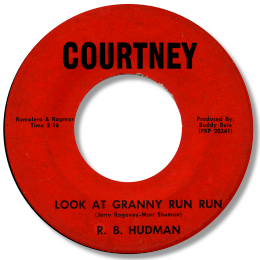 And although the music on the 60s recordings is good – particularly Buddy Buie’s arrangements on “Look At Granny Run Run” – I’m not a fan of child soul singing and Hudmon’s unbroken voice just doesn’t do it for me. Even as late as the Capitol single he wasn’t really settled. But by the time of the original Tomahawk cut of his famous How Can I Be A Witness everything was in place. Hudmon had matured into an expressive singer, with a good range in his high baritone voice, with a hint or two of Al Green in the phrasing. The Tomahawk 45 is a rough and ready production, maybe not even much more than a demo, but it was enough to get him to Memphis where the experience of people like Jim Stewart and Bobby Manuel brought out the very best in him. His series of cuts at the Daily Planet Studio came out on a variety of labels but they were amongst the best that southern soul had to offer at the time. There was the occasional nod to the disco crowd but not enough to detract from the real music. “Witness” was a big hit – and deservedly so – but other tracks were good too. David Porter’s “Ain’t No Need Of Crying” for example, and the Malaco like broken rhythm of Holdin' On are fine soul. Like these “Cause You’re Mine Now” and "Bringing You Your Love" were midpaced tunes at which Hudmon seemed most at home; the uptempo “If You Don’t Cheat On Me” – the initial plug side of the hit – is enjoyable but the real cream is the beautiful I’m Everything You Need. 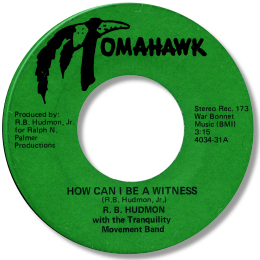 This rivals almost every other mid 70s ballad for the beauty of the melody and the delicacy of the arrangement, and is perfectly suited to Hudmon’s introspective vocal style. Most of the best cuts were pulled together onto the “Closer To You” set – an LP to listen to time and again. Like so many singers Hudmon resurfaced in the 80s after the disco boom was over, but the indie releases on R & B and Gold Key are not really up to his previous standard, derivative in style and covers rather than original songs. His reggaefied cut to “Bring It On Home To Me” is interesting but no more. The Nite Life track is a favourite on the modern soul scene in the UK and is now very rare indeed – sadly the quality doesn’t match the records reputation or value. A disappointing way to end a distinguished recording career. Hudmon passed away on 25 August 1995.